While seeking stability in management, Posco’s new chairman said Monday that the company will expand its sales volume of auto steel up to 120 million tons a year by the 2025 to ultimately reach revenue of over 100 trillion won ($89 billion) and operating profit of 13 trillion won by 2030. The nation’s largest steelmaker sold around 91 million tons of steel used for vehicles last year, placing itself as one of the top five suppliers of automotive steel in the world. The company’s aim of expanding automotive steel sales by more than 30 percent appears to be set in line with market expectations on the rise of electric vehicles. Along with automotive steel, Chairman Choi Jeong-woo also vowed to drive the steelmaker’s battery component business that supplies materials for large-sized secondary batteries used for electric vehicles. Through battery component affiliate Posco Chemtech, the company will secure 20 percent of global market share of anode materials, generating 17 trillion won in annual revenue in the next 12 years. It also plans to build a manufacturing unit of needle coke for the battery business. In a meeting with Posco employees, the chairman said the steelmaker will open its doors to steel-making technologies developed from outside, breaking from its tradition of developing technologies independently. The steel giant will also transfer its liquefied natural gas trading business to its trading arm Posco Daewoo, and its facility management and building design units to Posco Engineering and Construction. The company will expand an internal organization seeking the steelmaker’s future growth engines by hiring experts from outside. 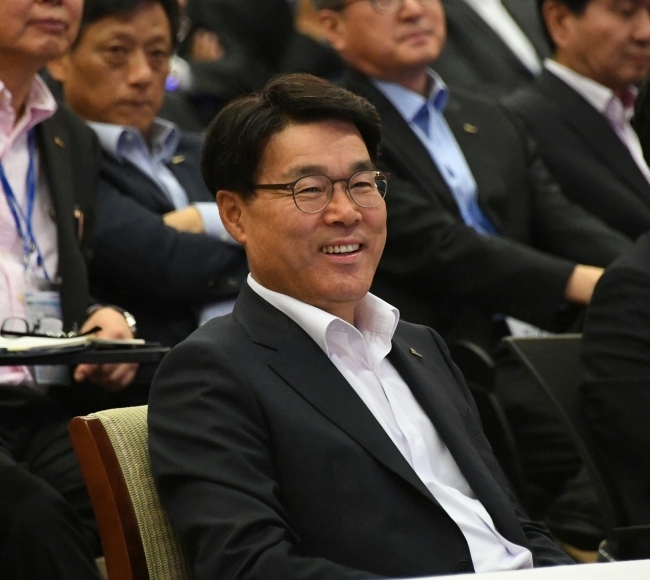 The plans were unveiled 100 days after Choi took the top post. Via a nationwide campaign, the chairman had invited not only stakeholders of the company, but also citizens to participate in reforming the 50-year-old steelmaker. The list of more than 100 tasks for Posco’s reform was drafted from messages he received from them, the company said. “With all stakeholders, without discrimination, let’s create an ecosystem for the company where the economic value and social value virtuously circle around,” he said. The reform plan also includes breaking vertical structure within the group and in its relationship with contractors, the company added. Choi’s plan is part of efforts to accelerate the company’s goal of generating 100 trillion won in sales and 13 trillion won of operating profit in 2030. Marking its 50th anniversary, Choi’s predecessor, former Chairman Kwon Oh-joon, said that the company will seek new business opportunities in nonsteel sectors by investing in emerging technologies like lithium and biopharma. Choi, however, did not mention seeking new business models from the biopharma sector. The new chairman’s aim to abolish hierarchy in its organizational culture is something that could transform the company that started as a state-funded business in 1967. “Started as a state firm, Posco’s corporate culture was militant, making it difficult for the company to adapt into the global business environment,” said Park Ju-gun, CEO of local corporate tracker CEOScore.